Arbovirus is the name given to Arthropod-borne viruses, that is, viruses that are transmitted to vertebrates, such as people and mammals, by blood-feeding insects called arthropods, such as mosquitoes. Vertebrate infection occurs when the infected insect bites an animal or person and takes a blood meal. In a context of overuse of insecticides, which leads to the selection of resistant mosquitoes, it is already known that this resistance to insecticides affects interactions between mosquitoes and the pathogens they transmit. The European gypsy moth is perhaps the country's most famous invasive insect - a nonnative species accidentally introduced to North America in the 1860s when a few escaped from a breeding experiment in suburban Boston. The search for vaccines, treatments and preventive methods against infection by emerging viruses is one of the major challenges of global epidemiology. According to a latest study supported by the National Institute of Allergy and Infectious Diseases (NIAID), a part of the National Institutes of Health, the deadly Zika virus could be used to kill a specific type of brain cancer cells and sparing the neighbouring healthy brain cells. Although experimental in stage, this finding has wide implications for those suffering from these cancers. After the Zika epidemic, which began in 2015, and the outbreak of yellow fever early in 2017, Brazil runs a serious risk of being afflicted by Oropouche, another virus that is widely distributed throughout South and Central America and the Caribbean. Cases of human infection with Powassan virus (POWV), which can cause fatal neuroinvasive disease and long-term neurological effects, appear to be increasing in the United States. POWV is transmitted by Ixodes tick species found in North America. Research conducted by Griffith University and Melbourne-based company Paradigm Biopharmaceuticals Limited has uncovered a potential new therapeutic treatment for the global battle against mosquito-borne alphavirus infections, including the debilitating Ross River Virus (RRV) and Chikungunya Virus (CHIKV). Mosquito bite sites are not just itchy, irritating nuisances - they also make viral infections spread by the insects far worse, new research has found. A study by researchers from Inserm, the Paris Public Hospitals (Bichat Hospital, AP-HP), Aix-Marseille University, and the National Reference Centre for Arboviruses confirms that the ZIKA virus can be transmitted sexually. Their analyses have shown 100% genetic correlation between the form of the virus present in a man who contracted the virus in Brazil and that of a woman who had never travelled in the epidemic area, but who had sexual relations with him. These results are published in The New England Journal of medicine. Experts at the European Society of Clinical Microbiology and Infectious Diseases – an organization promoting research, risk assessment, knowledge sharing and best practices in the fight against infectious diseases – are developing tools to monitor the spread of the Zika virus and are conducting research to gather more solid data to better assess the risks associated with the infection. Despite the increasing risks of mosquito-transmitted epidemics in the United States and Mexico, policymakers in both countries have made little effort to prevent future outbreaks, according to a new policy brief by tropical-disease and science policy experts at Rice University's Baker Institute for Public Policy. Scientists behind the first global distribution maps of two species of dengue and chikungunya-carrying mosquitoes warn they are spreading to new areas where they could cause disease. Mosquitoes infected with the bacteria Wolbachia are more likely to become infected with West Nile virus and more likely to transmit the virus to humans, according to a team of researchers. Every year reported cases of Eastern Equine Encephalitis and the West Nile virus surface in communities around the country, raising concerns and questions about mosquito borne-illnesses. 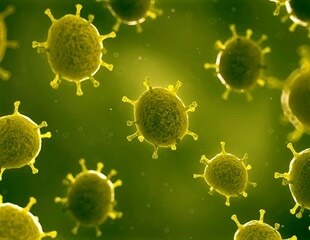 Despite reports that children and the elderly are at greatest risk, anyone can be stricken by these viruses. But prevention is within everyone's control. While the United States has largely been spared the scourge of mosquito-borne diseases endemic to the developing world-including yellow fever, malaria and dengue fever-mosquito-related illnesses in the US are on the rise. One pathogen of increasing concern in the U.S. is an arbovirus known as West Nile. An experimental research carried out in Sant Cugat del Vall-s and Rub-, coordinated by researchers from UAB, assessed the efficacy of a combination of strategies to reduce the population of tiger mosquitos. The combination of three complementary measures to eradicate tiger mosquitos - avoid having stagnant water, using insecticides to eliminate larvae and adults, and removing rubbish - reduces more than half the number of tiger mosquitos, according to a research coordinated by researchers at Universitat Autonoma de Barcelona. Chikungunya is transmitted by mosquitoes of the genus Aedes. The disease is spreading in the world and periodically sparks new outbreaks. Africa, Asia, the Indian Ocean and even Southern Europe are now affected.